Alex Mathioulakis commenced coaching in 2015, and joined the WGC competitive coaching team in 2018. Alex is a fully qualified coach with both Gymnastics Australia and Gymnastics Victoria. Alex has coaching experience across both our squad and educational programs here at WGC and is assisting many budding young athletes to move through to our squad development program. She shows a kind and gentle nature and aims to help a gymnast in every way she can to enable them to improve; we are very grateful at WGC to have Alex be a part of our extremely passionate coaching staff. 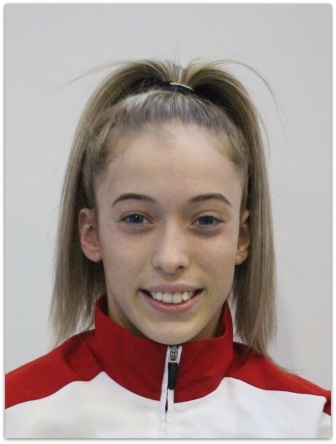 Alex has a number of years of experience as an elite gymnast herself, as a former athlete at WGC, with a highlight for her being crowned the International level 5 Victorian Champion in 2013. Alex currently is heavily involved in elite level cheerleading and she has travelled to America recently to the Cheerleading World Championships. Having this experience behind her gives her a lot to offer aspiring young gymnasts in her care.